The much talked over Narayanganj City Corporation Election to elect the City Mayor and 36 councillors is over and the people have or rather the voters have spoken, loud and clear. The voice of people is the voice of God. They have elected the immediate past Mayor, Awami League nominated candidate, Selina Hayat Ivy for the second time by an overwhelming majority vote. She received 1,75,611 votes, defeating BNP nominated candidate Shakhawat Hossain Khan by 79, 567 votes. Approximately 64% voters cast their votes. This is for the first time that a local body election has been run with major party symbols, boat of Awami League by Ivy and sheath of paddy (Dhaner Sheesh) by Khan. Though a local body election the eyes of the nation was on this election for different reasons. BNP which boycotted the 2014 Jatiyo Sangsod (National Parliament) election demanding that it be held under an unconstitutional ‘neutral’ Care Taker government participated in this election with their party’s election symbol Dhaner Sheesh. Not only BNP and its allies boycotted the national election of 2014 it declared a violent war against the common people of the country to realise their demand killing about three hundred common people by burning them to death and maiming hundreds. Public properties worth millions of taka were destroyed. Sk. Hasina, the Chief of Awami League offered them all sorts of concession possible under the Constitution to bring them to election but could not budge the BNP Chief Begum Zia from her rigid position. Amidst determined stand of Sk. Hasina the national elections were held on 5 January, 2014 and as expected, her party, the Awami League won the majority seats to form the government for the second successive term. Many analysts commented that by not contesting the election BNP has committed a fatal mistake. The NCC election perhaps is a testimony to prove that the analysts were right. Incidentally though BNP did not take part in the national election it participated in many of the succeeding local body elections and won in many of them. In the case of Narayanganj too it participated in the City Corporation election but kept out of District Council election. Often the political decision made by a party like BNP defeats all reasons, rationale and logic and enforces the belief that the party is full of leaders but no politicians. In comparison the country’s largest political party Bangladesh Awami League is full of politicians but less of leaders, with vision like the founding fathers of the party Hussain Shaheed Suhrawardy or Bangabandhu Sk. Mujibur Rahman and even Tajuddin. Bangabandhu’s daughter Sk. Hasina is perhaps the only exception. It seems she is one of the few persons in the party who is capable of showing determination and statesmanship in hours of national need or crisis. The chemistry of Awami League politics in Narayanganj is quite complicated. The Osman family wields substantial power in Narayanganj politics. The senior Osman, M Osman Ali, the grandfather of much talked about AL MP Shamim Osman, was a founding member of Bangladesh Awami League. Osman Ali’s son AKM Shamsuzzoha was a member of the first parliament of Bangladesh, elected from AL. According to Shamim Osman, the second of the five siblings of Shamsuzzoha, during the birth of all his brothers and sisters his father would always be in jail. Shamsuzzoha was one of those politicians whose sacrifice for the party was unconditional. Ivy’s father, Ali Ahmed Chunka was a popular labour leader of Narayanganj and a dedicated Awami League worker. During the 1974 Narayanganj municipality chairman polls Chunka failed to get the backing of his party but won the election eventually. However, till his death he remained loyal to AL. In the NCC Mayoral election of 2011 Selina Hayat Ivy failed to get the official AL backing but decided to contest the polls nevertheless against the official candidate of AL, Shamim Osman. The election of 2011 was not contested on party lines but senior leaders of AL campaigned for Shamim Osman. On the other hand BNP fielded one of their senior leaders, Advocate Taimur Alam Khondakar as their candidate and party leaders went campaigning for him. Shamim Osman has his own style of doing politics and often creates unnecessary controversies for him and his party by his deeds, gestures and actions. In 2011 the people of Naryanganj chose Selina Hayat Ivy over Shamim Osman, the official candidate of AL. Shamim Osman was defeated by more than one lakh votes. Incidentally to prove the political bankruptcy, BNP compelled its candidate Taimur Alam Khondakar to withdraw his candidature on the previous night of the election. In the Mayoral election of Chittagong in 2010 it did the same thing, this time in the afternoon when its candidate Manjur-ul-Alam Manju was doing quite good.As mentioned, BNP is full of short-sighted leaders. One of the first thing Ivy did after the election of 2011 was go and meet the Awami League Chief and the Prime Minister, Sk. Hasina who embraced her like her daughter and promised to be on her side during her tenure as the NCC Mayor, which she did. However, in the entire period of Ivy’s tenure, both Ivy and Shamim Osman were never in good terms and often traded accusations and counter accusations against each other. In 2001 when BNP-led four party alliance formed government Shamim Osman left the country, fearing reprisals from the then government. Selina Hayat Ivy who then in New Zealand studying medicine came back after completing her studies and joined active politics of Awami League. Apparently a novice in a big party politics she was a fast learner and gained confidence of the local people like her deceased father. When AL formed government in 2009 and Shamim Osman felt safe he came back to Narayanganj and tried to regain his lost political ground. 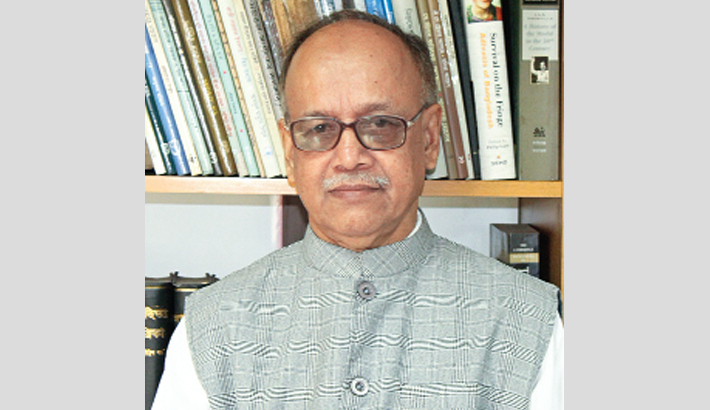 He perceived Ivy as his contender and tried to distance her from the AL politics in Narayanganj. But Ivy, resilient and tenacious, faced the challenges of Shamim Osman boldly and finally came out victorious. In the run up to the NCC election, things were not very comfortable for AL as both Shamim Osman and Ivy stood their grounds though Shamim Osman could not contest the election as he was a sitting Jatiyo Sangsod member. However, the followers of Shamim Osman nominated Advocate Anwar Hossain, President of local Awami League for running the election. Again Sk. Hasina had to intervene, nominated Selina Hayat Ivy as the party candidate and summoned all the local leaders, including Shamim Osman and instructed them to work for the official party candidate. For many this was a bitter pill to swallow but had to do it as they did neither have the courage or any reason to challenge the decision of the party. But till the last moment the local leaders were not seen to be very active in the campaign of Ivy though Shamim Osman tried to show to the press he has all the support for Ivy. Unfortunately, not many people were convinced. But most of the workers stood behind Ivy. As opposed to AL, the BNP fielded an obscure local feather weight leader Advocate Shakhawat Hossain Khan, whose only visible credential was he led few street demonstrations against 2014 seven murders in Narayanganj besides being one of the counsels for one victim’s family. As a new comer he was no match for the AL backed candidate Ivy but was hopeful till the last moment. His party though nominated him failed to put their weight behind him and ironically though Begum Zia announced that she will personally go to Narayanganj to campaign for Hossain waited till the last moment knowing very well that as per rules no outsider will be allowed to enter Narayanganj to campaign for any candidate 72 hours before the election. But Mirza Fakhrul Islam Alamgir, et. el., cried foul and announced that the ban was imposed to prevent their party Chairman from going to Narayanganj. It is another example to show the bankruptcy of BNP politics. The BNP leaders should realise that their party is becoming pregnant with politically bankrupt leaders and if things do not improve the party’s political future does not look very promising. The ‘resident secretary’ of BNP, Ruhul Kabir Rizvi announced during and after the election that apparently the election was peaceful but will have to have a peep behind the screen to see for himself what mischief the ruling party did to make their candidate lose the election. It seems Rizvis will have to spend a long time peeping behind the screen and after that it may be all deluge. In NCC election not only Selina Hayat Ivy has won; there were other winners too. The voters have won as they came in large numbers, especially the women, to vote. The Election Commission won as they could administer a near perfect election at the end of their term. The law enforcing agencies won as they were ever vigilant in maintaining law and order during the election. Not a single incident of violence was reported on the day of election. Finally the ruling party won as they never at any stage interfered in the entire process of the election. Shamim Osman deserves special thanks for maintaining his cool till the end. BNP candidate Shakhawat Hossain also deserves to be thanked as he did not react after his defeat in a big way like his senior party leaders sitting in the party office at Naya Paltan. Finally the new Mayor-elect Selina Hayat Ivy, one of the emerging new leadership of Awami League deserves all the congratulations for steering the Bangabandhu’s boat through murky waters of Shitalakkhya. She brings new hope for the future leaders of her party and proved that if Awami League remains united it is a party that can turn into an impregnable fortress. Christmas and New Year Wishes to all the readers!